Thanks to Dana of Creative Reflections for showing how the Chomas Creations adjustable holders work in the Black Cat Lynx! Here is a picture of the Chomas Creations adjustable pen holder in the Lynx. And if the Chomas Creations adjustable pen holder works in the Lynx, the Chomas Creations adjustable marker holder will work in the Lynx as well! 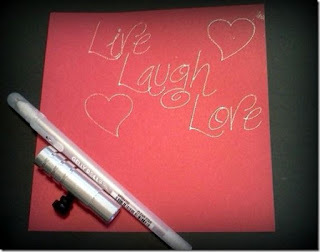 Here is a sample drawn with the Chomas Creations adjustable pen holder and a Sakura Gelly Roll Pen. 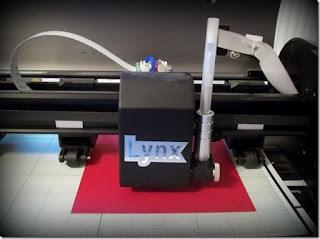 Dana used a speed of 150, an old CD (you could also use a popcycle stick that I include with the adjustable holders) to set pen height and a force of 25 using my Black Cat Lynx.